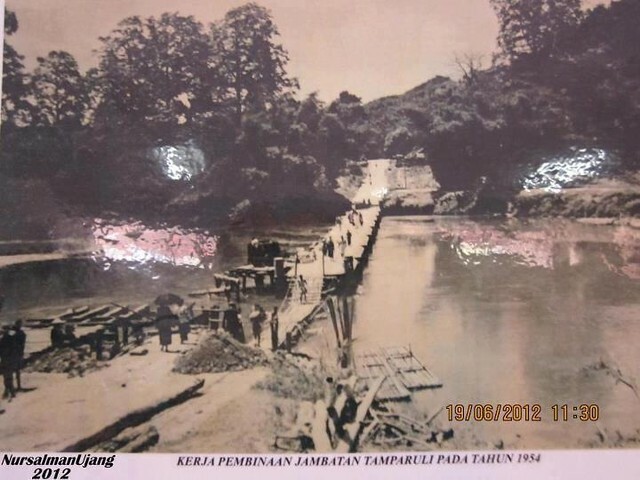 Construction of the Tamparuli Bridge by British North Borneo in 1954. 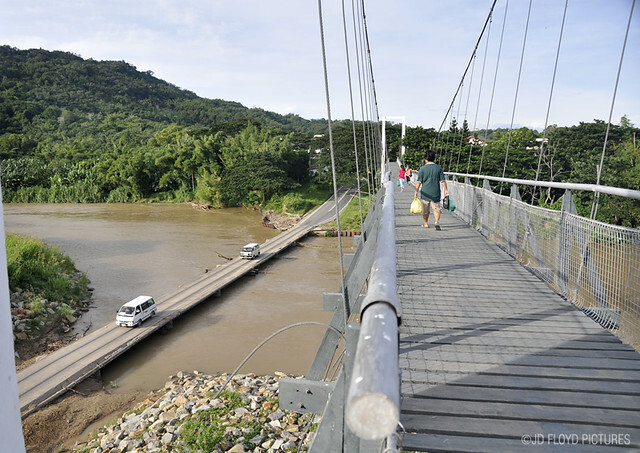 Lesson: Way back in 1950-ies, we only have locals to construct bridges and structures that last till today. Today the locals are crying foul that immigrants (and illegal ones) are taking away the jobs from them. But don't get influenced by what I said. Look around you and make your own judgement. I bet you that you were not there back in 1959. @rainfield61 - u are right. I was born long after that. I'm just amazed that this low-laying bridge is still in absolute perfect condition after many years of pounding by logs, and strong current every time the river swell. @Truli Anglers - Heard of that, too. Legend has it that the poor lady cursed the bridge such that it would be very slippery and not safe for use. Ever since, the river/bridge takes its victim (sacrifice) every other year.